What You Need to Know About Becoming a Physical Therapist? 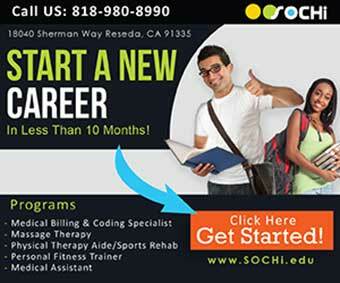 Basically, the time to complete physical therapy school in California is three years. Most schools take in candidates who have a bachelors degree in the field and it is required that one maintains an average score in their grades. If you are that person who is interested in starting a career in physical therapy, and you are not sure of the basics, then do not worry more. Here is a guideline on the general requirements to start training in a physical therapy school to attain your goals. A career in physical therapist, physical therapy aide or a physical therapist assistant is rewarding. Training in this field involves both classroom and hands-on training and as a student, you will learn a number of practical lessons during the training period. To become a physical therapist, you need a masters Degree. This means that most schools offer masters and doctorate programs that are American Physical Therapy Association accredited. There are a number of requirements for Physical Therapist that one is supposed to fulfil before they are given the go-ahead to practice physical therapy. Educational RequirementsIt is a requirement that before they are allowed to practice, physical therapists should have attained a graduate degree from authorized academic programs in the field of physical therapy. Enrolling in these programs means that you will gain a Doctoral degree and the time taken to attain this is three years. This means that to get your way into a college offering this program you must have attained a bachelors degree and must have completed particular science required courses, have volunteer experience in physical therapy, hand in Graduate Record Examination scores and uphold grade points that are acceptable. It is a requirement that before they are allowed to practice, physical therapists should have attained a graduate degree from authorized academic programs in the field of physical therapy. Enrolling in these programs means that you will gain a Doctoral degree and the time taken to attain this is three years. This means that to get your way into a college offering this program you must have attained a bachelor’s degree and must have completed particular science required courses, have volunteer experience in physical therapy, hand in Graduate Record Examination scores and uphold grade points that are acceptable.As a student in physical therapy, you are likely to train in subjects like biometrics, human anatomy, neurological dysfunction management and, musculoskeletal system pathology. As a student in physical therapy, you are likely to train in subjects like biometrics, human anatomy, neurological dysfunction management and, musculoskeletal system pathology. In addition you may take part in clinical internships and take part in clinical courses which offer training in screening, patient care, assessment, intervention and treatment.License requirements. All practicing physical therapists need to be licensed by their states. Each state has its own rules when it comes to licensing but most require that the students must have a graduate degree in physical therapy from licensed programs and pass the National Physical Therapy Examination. Some other states may include the need for jurisprudence exams and in other cases continuing education requirements to retain the license. Board certification is often voluntary but earning a certification as a physical therapist is an advantage as it creates more opportunities for advancement in your career. The American Board of Physical Therapy Specialties (ABPTS) is tasked with offering certification for physical therapist. It covers areas such as clinical electrophysiology, cardiovascular and pulmonary, and geriatric physical therapy. To get this certificate each candidate is required to have attained a license and have completed a minimum of 2,000 clinical practice hours in their area of specialty. Once certified, it is a requirement that after ten years you are recertified. In order to advance in their careers, PTs are encouraged to take part in continuing education. This allows them to keep up with the new advancements in the field. Maintaining of the licenses does not necessitate continued education but it is important for your own career advancement.